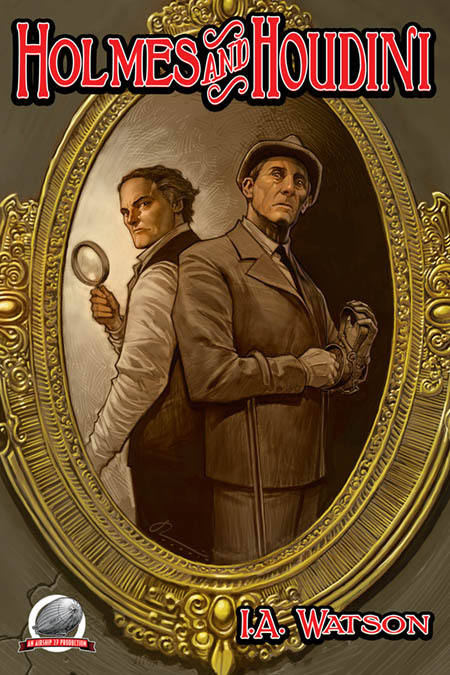 The latest Holmes-Houdini crossover is from Ron Fortier's Airship 27. Nice Peter Cushing inspired Holmes on the cover. Interestingly, Cushing also played Sir Arthur Conan Doyle in the 1976 television biopic The Great Houdinis. Writer I.A. Watson delivers an incredible adventure mystery that will keep readers up till the wee hours of the night. “Homes & Houdini” is New Pulp fiction at its finest.